Learn exactly what you need to know to have your healthiest hair ever. A simple, straight forward, conversational guide from a seasoned expert. Discover the number one thing many women of color are missing when it comes to natural hair care and holistic beauty. Get the facts on how you can eliminate dryness, dry scalp, breakage and hair loss. Written from a holistic perspective. Not only am I a natural beauty educator, but I am also a registered nurse with a reputation for integrity and trust. Stop wondering what you should be doing to grow healthy natural hair. Don't waste another day. 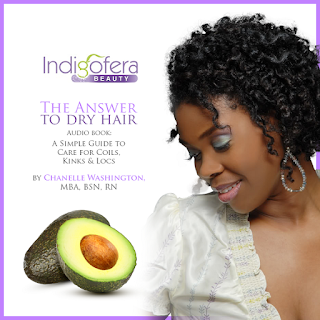 Get your copy of "The Answer to Dry Hair" A Simple Guide for Coils, Kinks & Locs. Today Chanelle speaks to women and teaches them to illuminate their businesses with joy, confidence and abundance. 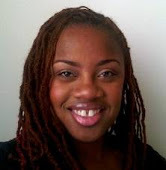 She is the author of Radiant Living, The Indigofera Beauty Book and The Answer to Dry Hair, she lives in Atlanta, Georgia with her daughter Sanai. Join the Indigofera Inner Circle for more holistic beauty, natural hair and wellness tips Click Here to Get instant access.